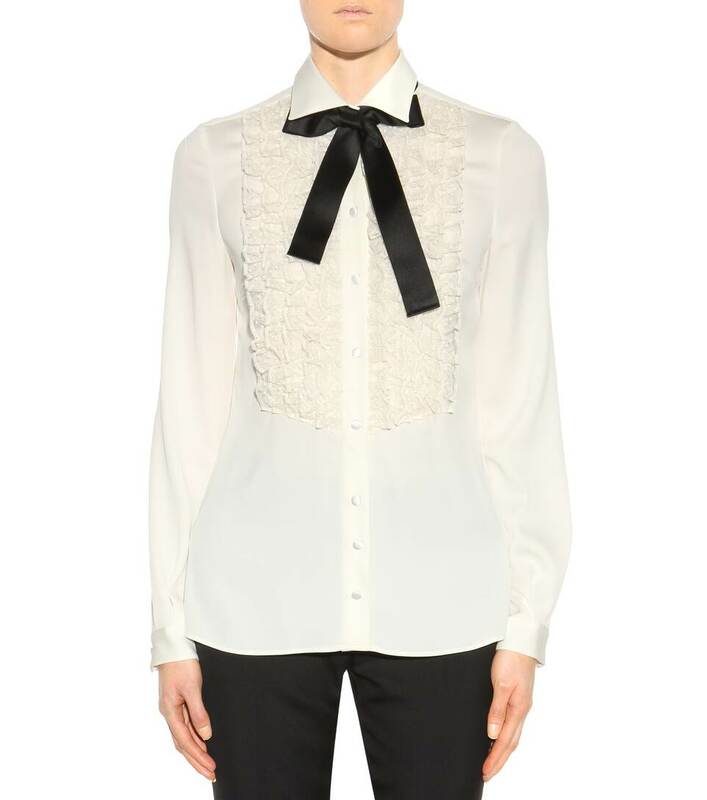 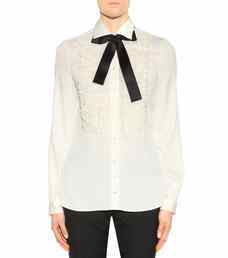 Dolce & Gabbana puts a characteristic spin on a classic silk blouse. 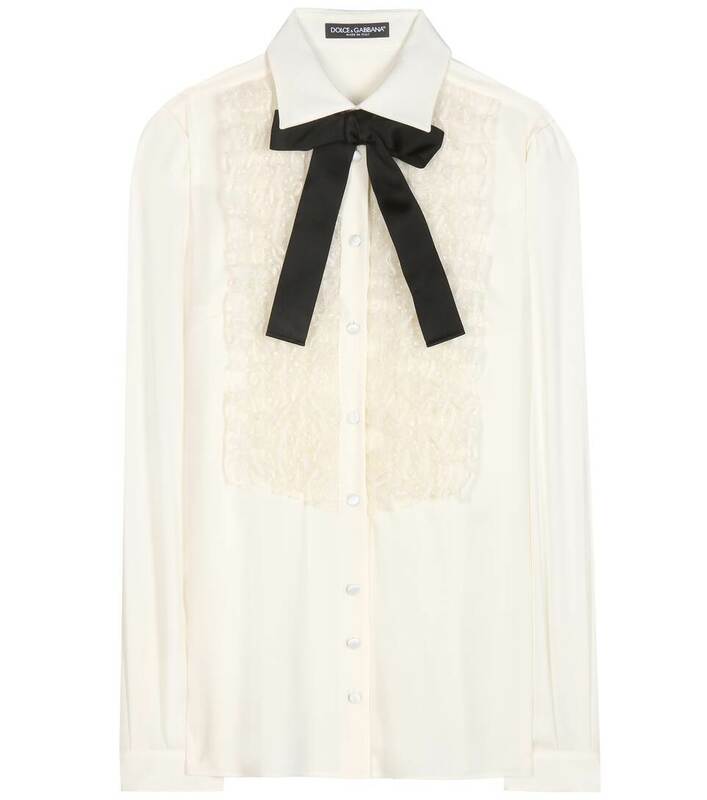 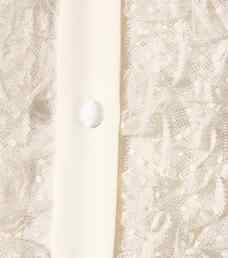 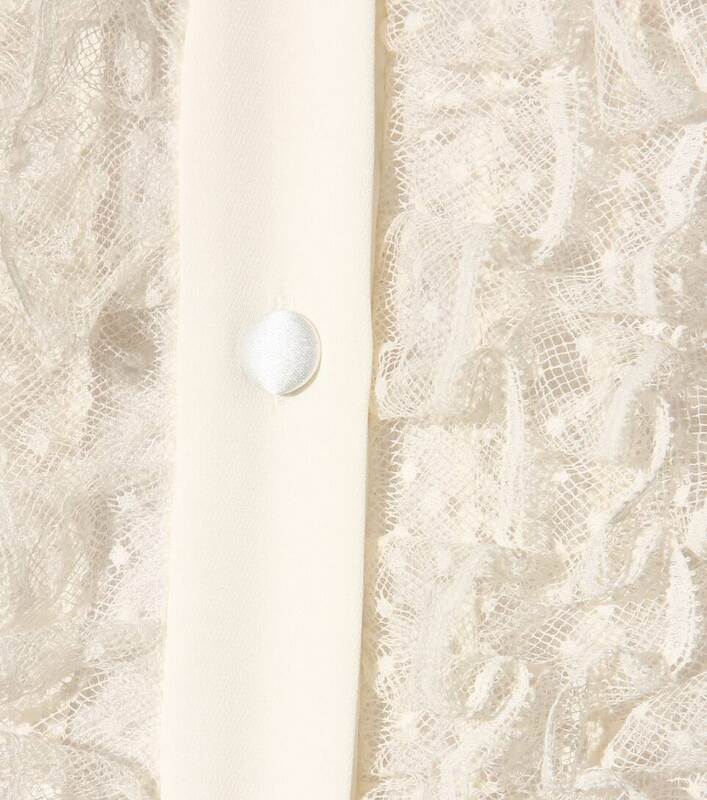 Giving this dainty design a romantic edge, lace ruffles team with black ribbon ties for a sophisticated, feminine touch. 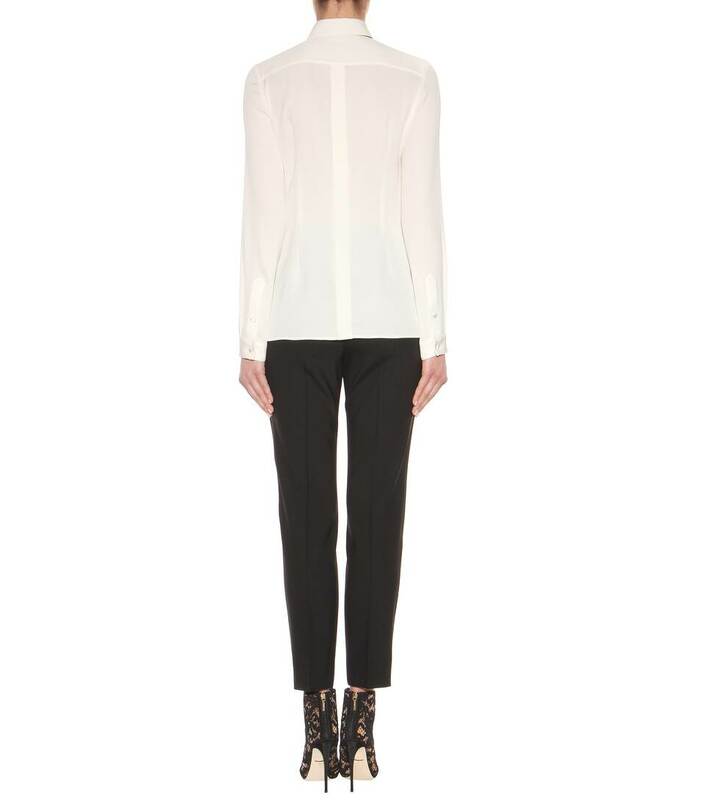 Take style inspiration from the masculine tuxedo and pair with cigarette trousers and a smart blazer.